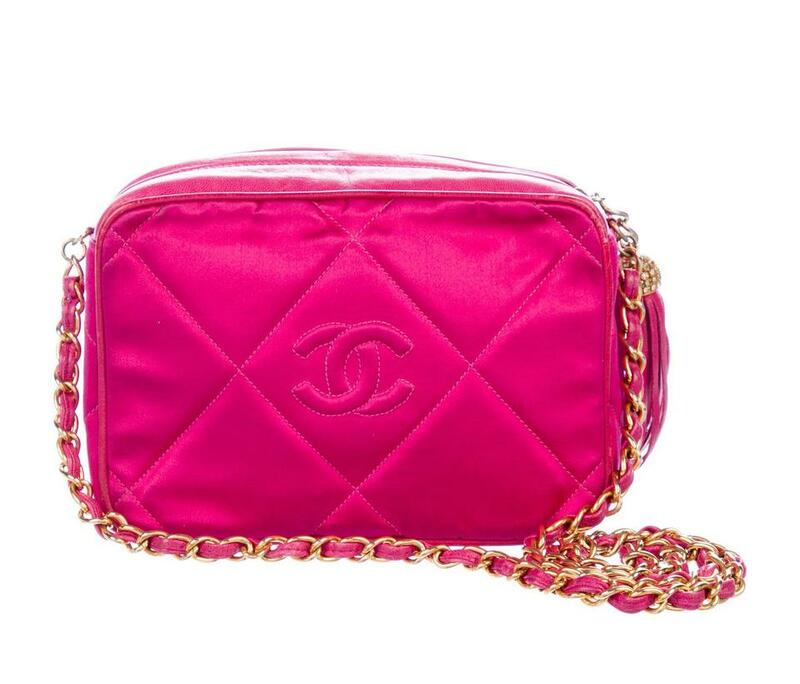 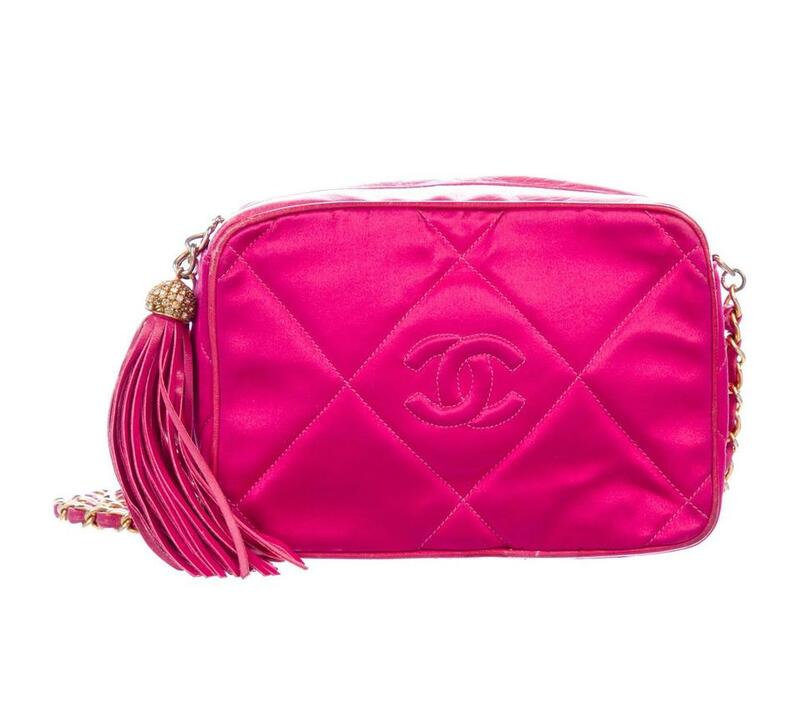 We guarantee this is a rare authentic CHANEL Satin Quilted Tassel Camera Case Fuchsia or 100% of your money back. 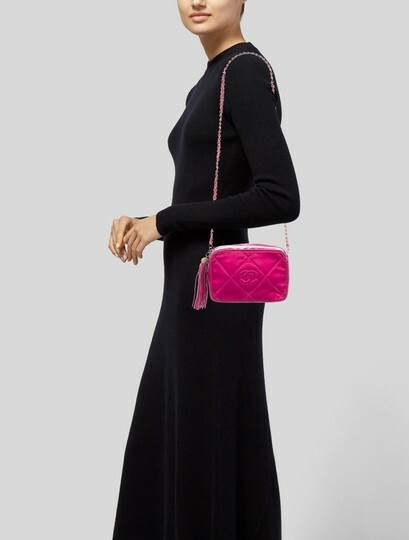 This bag is crafted of elegant diamond quilted satin in fuchsia with an embroidered Chanel CC logo and fuchsia leather trip. 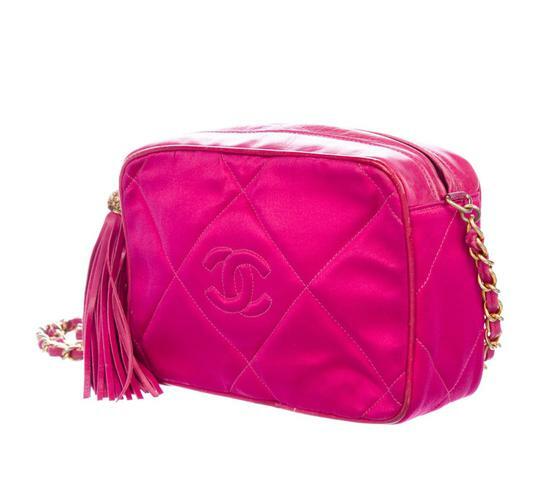 There is a long gold chain link shoulder strap threaded with leather and a decorative long tassel with a gold knob. This top zipper pulls open to a black leather interior with a zipper pocket. 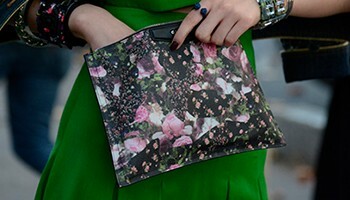 This is an excellent shoulder bag chic enough for day or evening, from Chanel. Size: Length: 7", Height: 5.25", Depth: 3", Drop: 18.5"